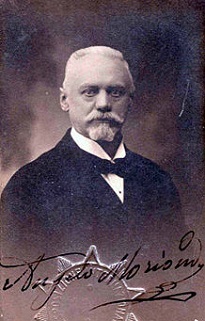 Angelo Moriondo patented the first coffee machine in 1884. Although cafés at that time were looking for ways to brew coffee faster, Moriondo’s coffee machine faded from the scene. 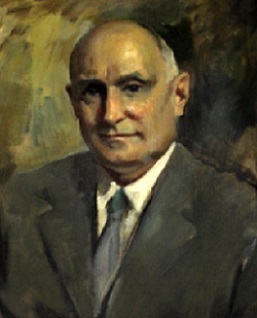 Nineteen years later Luigi Bezzerra and Desiderio Pavoni improved Moriondo’s machine. Bezzerra firmly packed the ground coffee into a puck and regulated the water temperature, while Pavoni added on a pressure release valve and a steam wand. 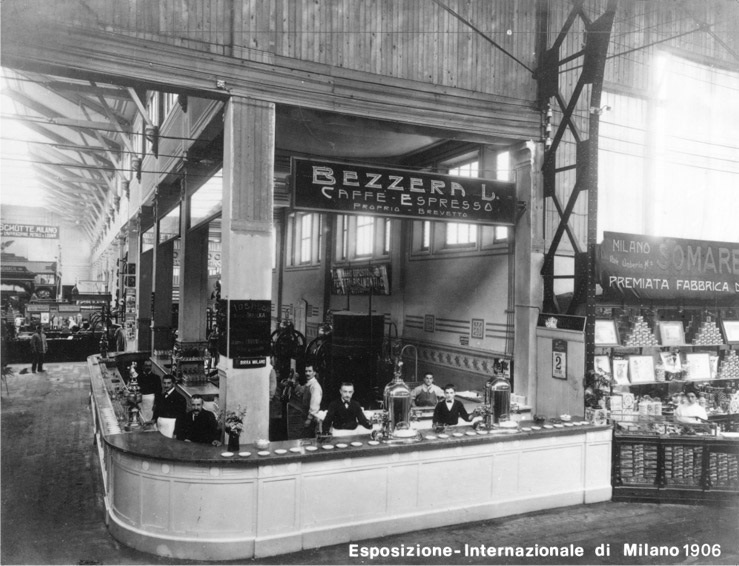 Bezzerra and Pavoni named their machine the Ideale and its “cafeé espresso” debuted at the Milan Fair in 1906. Quickly the Ideale made its way into cafes across Europe where clients admired the machine and its production of about 1,000 cups of coffee in an hour. The Ideale and other early espresso machines used primarily steam to brew the coffee which left it with a bitter or burnt flavor. People who loved those early espressos probably never imagined that in fifty years time the bitterness of the espressos would be replaced with tantalizing aromas and complex flavor notes. You can make espresso out of any type of coffee bean. In fact, professional baristas regularly make and savor a shot of espresso from each type of coffee bean that they work with. These single-origin espressos allow the barista to become familiar with each beans’ aroma, acidity, body and flavor. He or she is then prepared to blend the beans into delightful espressos. Aroma – Ever notice how you can almost “taste” cookies when you smell them baking in the oven? Scientists and chefs agree that aroma strongly influences taste and coffee is not an exception to this rule. Acidity – The acidity or brightness of coffee has nothing to do with its pH, but instead refers to its flavor. A coffee with little acid is dull and lifeless, while a bright or acidic coffee is brimming with life and flavor. Acidic coffees contain complex flavor notes which range from citrus to berries and spices to nuts. Body – A coffee’s body can also be called its mouthfeel, weight or texture. Coffees with a lighter body feel thinner and their flavor dissipates quickly. Full-bodied or heavy coffees have a thick, oily feel and a noticeable aftertaste. An estimated 300 thousand Brazilian plantations raise coffee beans and most of them are Arabica. These Arabica beans make an exceptional base for espressos because they provide a medium to heavy body, moderate brightness and a mild flavor which makes the perfect backdrop to offset the flavor and aroma of other coffees. Brazilian coffee beans can undergo either dry or wet processing. What you choose for your espressos will depend on your palate, but it is helpful to know that dry or natural processing leaves the beans with more body, less acidity and a more complex flavor. During wet processing, water removes the cherry from around the green coffee bean which results in higher acidity and enhanced fruit flavor. Adjust the Aroma – Roasting and grinding influence aroma more than your choice of coffee beans. Caffeols, oils buried deep with the coffee bean, release the aroma. Roasting brings these oils out and causes chemical reactions that modify the aroma. A longer roast produces a dark, roasted aroma, while a lighter roast leaves the coffee with a light, fruity scent. Grinding coffee beans allows the caffeols to escape the fibrous bean, but be careful not to grind your beans too soon. Ground coffee releases most of its aroma within half an hour of grinding. You will want that aroma in your espresso instead of lost in the atmosphere! Add in Flavor – Climate, soil and altitude determine a coffee bean’s flavor. 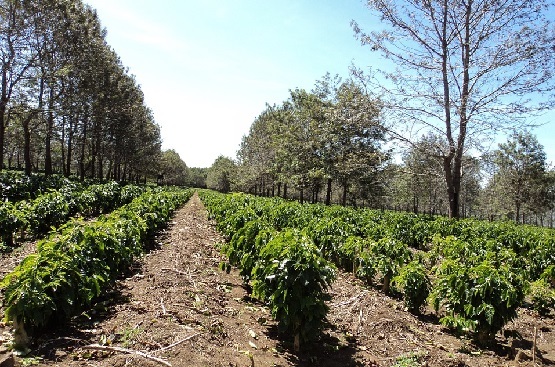 Guatemala, Honduras and Columbia produce sweet coffees which taste of caramel or brown sugar and have fruity undertones. Ethiopian and Kenyan coffees can be heavy and wine-like with dense berry flavors or light with floral notes. Asian coffees tend to be strong and earthy. Roasting them well brings out smoky, toasted flavors. Blending one or two coffees from different origins with your Brazilian coffee base will give your espresso a unique flavor. Increasing Acidity – High-altitude coffees are more acidic and Columbian varieties excel in this category. Adding a small percentage of Columbian coffee to your espresso will increase brightness or “zing” as some like to say. Remember to roast high-altitude beans lightly to preserve their acidity. Modify the Body – Although there are some coffees, namely African and Asian, which naturally produce more body, your espresso’s body or mouthfeel depends heavily on the roasting of the beans. Lighter roasts provide less body, while dark or “charred” beans provide the most. The darkest roasts do decrease acidity and change the original flavor of the bean, so many espresso lovers experiment until they find a balance between a medium and a dark roast. Determine Crema – When espressos first came out, the golden foam on top of the coffee was disliked, but with time the crema has become an important part of the espresso experience. To increase the crema on your espresso, give priority to dry-processed coffee beans and perhaps even consider throwing in a few Robusta beans. Robusta coffee beans produce a generous amount of crema, but keep in mind that they also add a bitter bite and additional caffeine. Experimentation is the key to good espresso. Be creative and try different coffee beans, roasting times, grind sizes and brew times. As you experiment, you will identify aspects that you like and others that you don’t, but I think overall you will find that each espresso is a masterpiece in its own way. Of course for experimentation you need and good espresso maker. We can suggest you to read article the best espresso maker under $300. There you find some high quality espresso machine which give you great equipment to making good espresso.